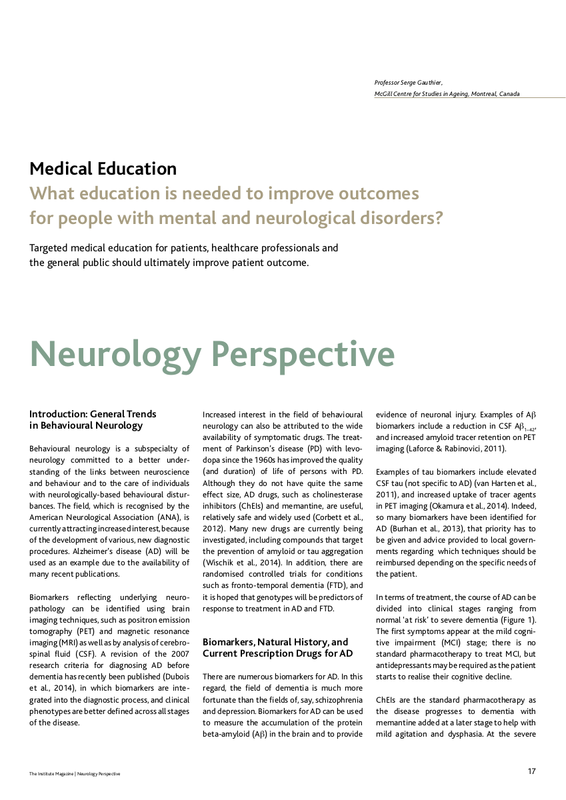 What education is needed to improve outcomes for people with mental and neurological disorders? 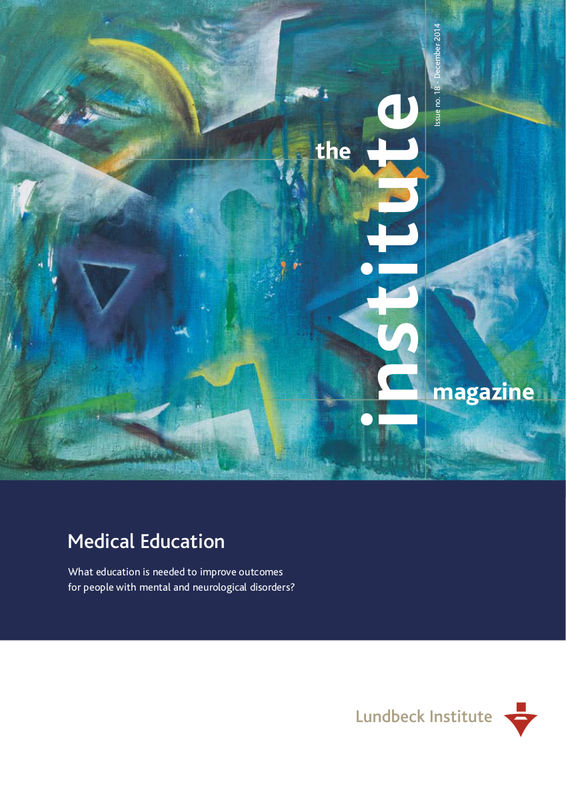 This time we can praise The Institute Magazine for selecting medical education as a topic of importance and for inviting four experts to specify what type of education is needed to improve the outcomes of mental and neurological disorders. 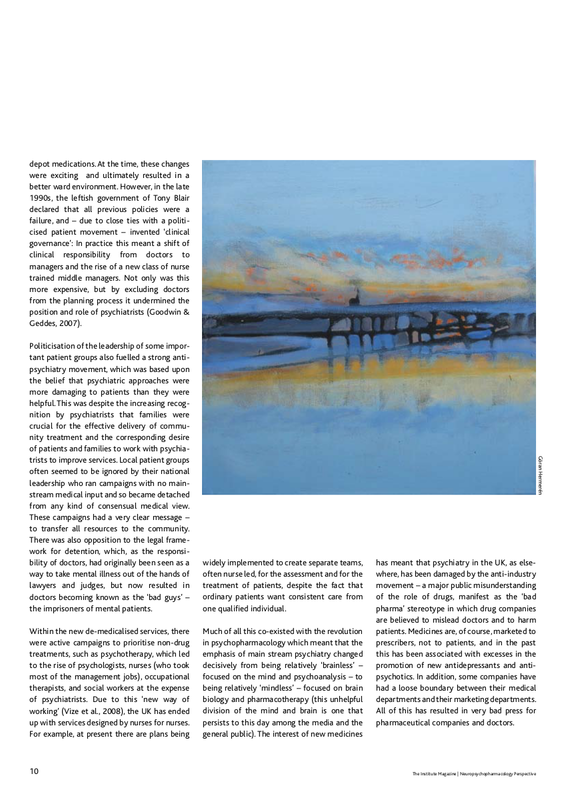 The four contributors cover different parts of the theme: Professor Okasha, from the Institute of Psychiatry at the Ain Shams University in Cairo, speaks from the point of view of a psychiatrist working in a developing country; Professor Goodwin speaks not only as a psychiatrist but also as the President of the ECNP, the leading nongovernmental organization dealing with psychopharmacotherapy in Europe; Pedro Montellano the Chairperson of Global Alliance of Mental Illness Advocacy Network present the views of an organization that promotes the interests of people with mental illnesses and protects their rights; and Professor Gauthier addresses the educational needs from the point of view of a neurologist. 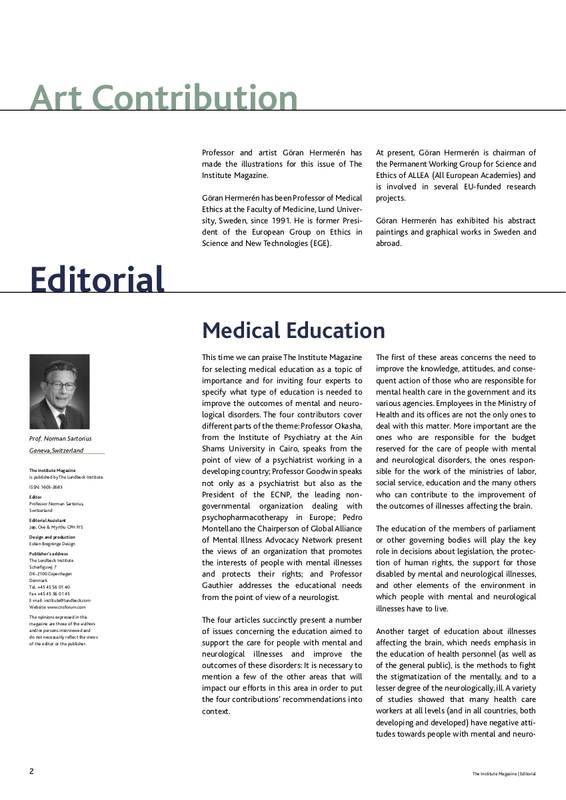 The four articles succinctly present a number of issues concerning the education aimed to support the care for people with mental and neurological illnesses and improve the outcomes of these disorders: It is necessary to mention a few of the other areas that will impact our efforts in this area in order to put the four contributions’ recommendations into context. The first of these areas concerns the need to improve the knowledge, attitudes, and consequent action of those who are responsible for mental health care in the government and its various agencies. Employees in the Ministry of Health and its offices are not the only ones to deal with this matter. More important are the ones who are responsible for the budget reserved for the care of people with mental and neurological disorders, the ones responsible for the work of the ministries of labor, social service, education and the many others who can contribute to the improvement of the outcomes of illnesses affecting the brain. 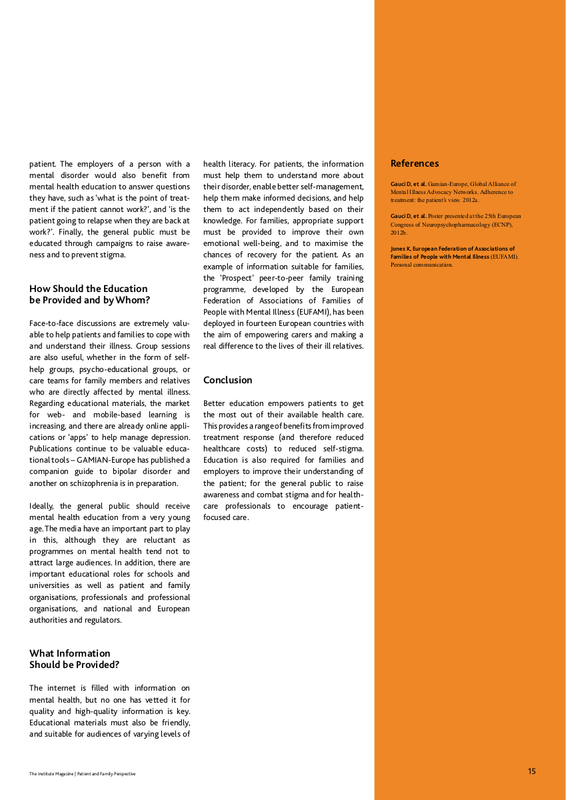 The education of the members of parliament or other governing bodies will play the key role in decisions about legislation, the protection of human rights, the support for those disabled by mental and neurological illnesses, and other elements of the environment in which people with mental and neurological illnesses have to live. 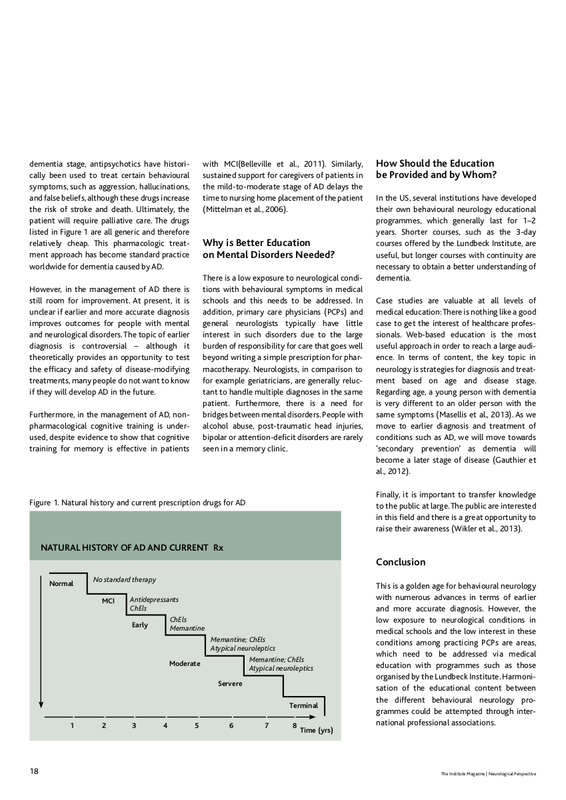 Another target of education about illnesses affecting the brain, which needs emphasis in the education of health personnel (as well as of the general public), is the methods to fight the stigmatization of the mentally, and to a lesser degree of the neurologically, ill. A variety of studies showed that many health care workers at all levels (and in all countries, both developing and developed) have negative attitudes towards people with mental and neuro- Medical Education Professor and artist Göran Hermerén has made the illustrations for this issue of The Institute Magazine. Göran Hermerén has been Professor of Medical Ethics at the Faculty of Medicine, Lund University, Sweden, since 1991. 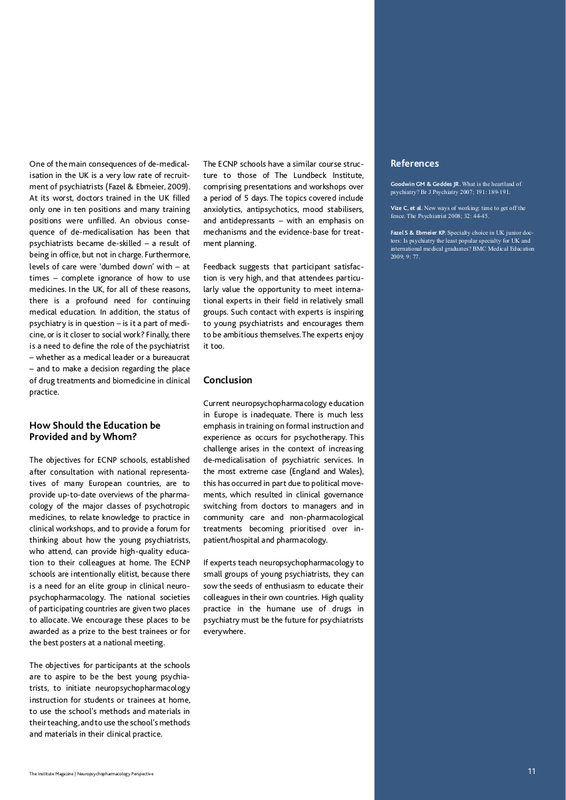 He is former President of the European Group on Ethics in Science and New Technologies (EGE). 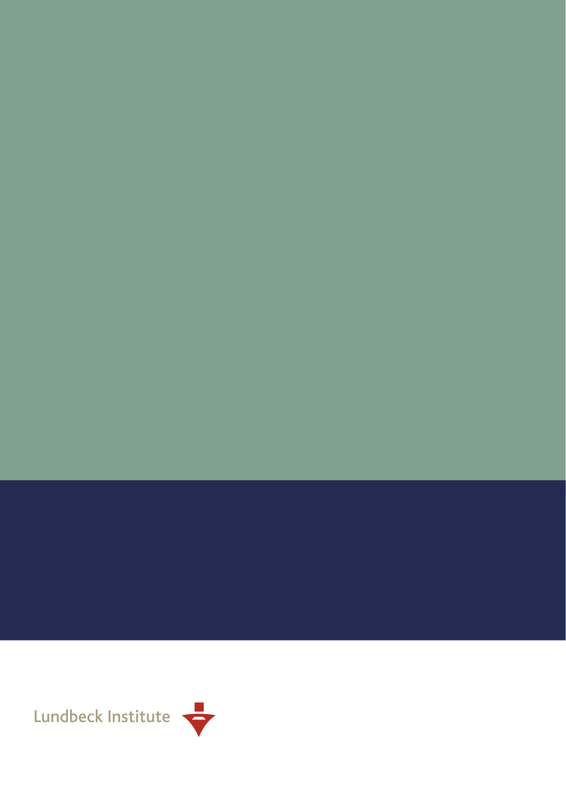 At present, Göran Hermerén is chairman of the Permanent Working Group for Science and Ethics of ALLEA (All European Academies) and is involved in several EU-funded research projects. 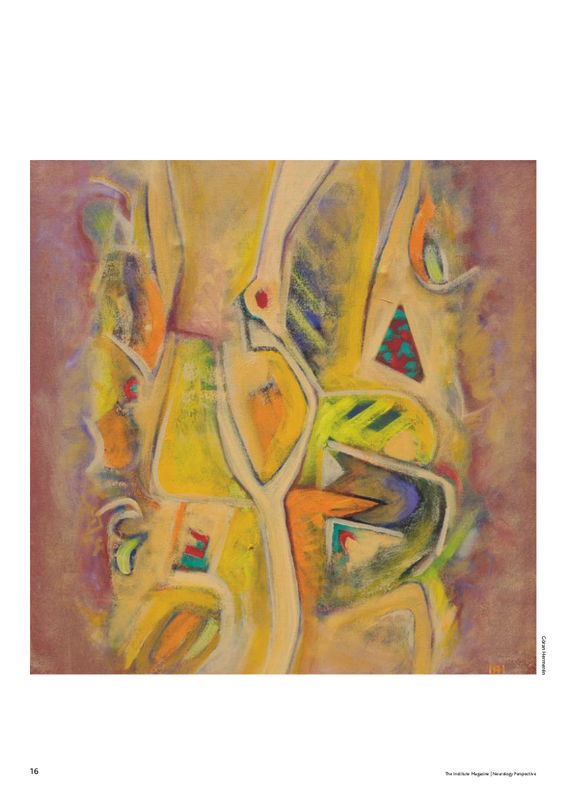 Göran Hermerén has exhibited his abstract paintings and graphical works in Sweden and abroad. 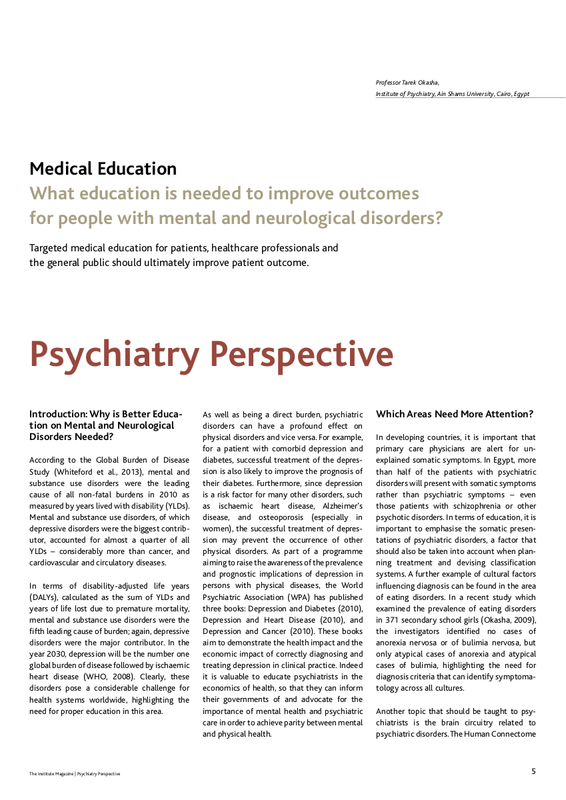 The Institute Magazine | Editorial The Institute Magazine | Editorial 3 Contents Medical Education What education is needed to improve outcomes for people with mental and neurological disorders? 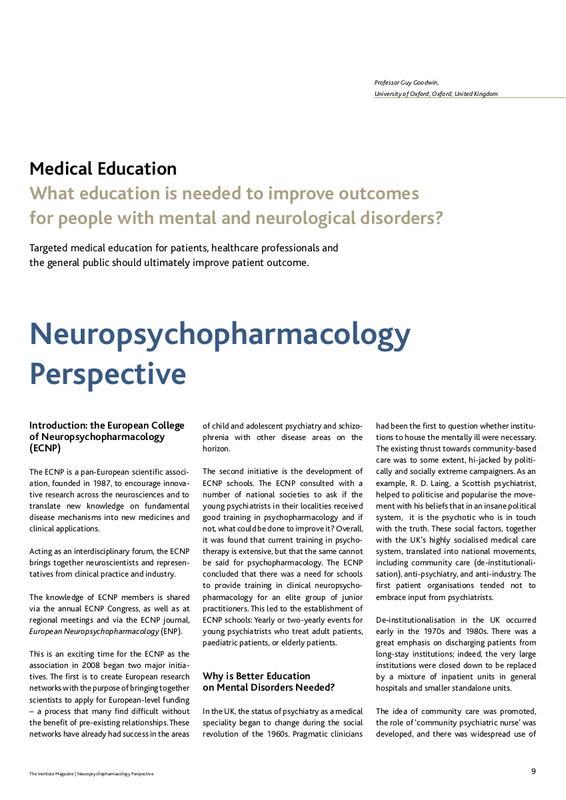 Psychiatry Perspective Neuropsychopharmacology Perspective Patient and Family Perspective Neurology Perspective 5-7 9-11 13-15 17-19 logical illnesses and that they have a discriminatory behavior towards them. Providing knowledge about mental illnesses does not necessarily decrease the stigma nor does it eliminate the negative attitudes and discrimination. 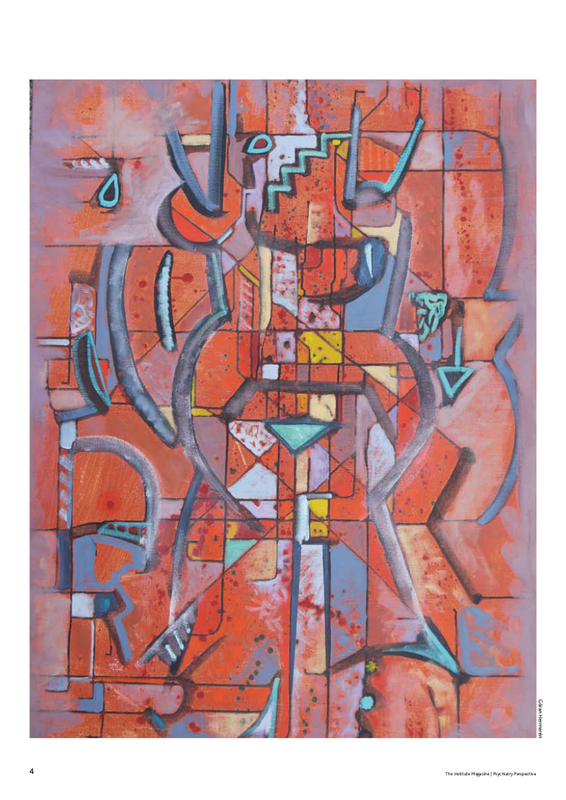 In some instances, the provision of additional knowledge about mental and neurological illnesses has in fact contributed to the strength of stigma. It is the skillful combination of provision of facts concerning the nature of mental illnesses and action against stigmatization – for example by facilitating social contacts with people who have experienced mental illness – that will have positive results for those who experience mental and neurological illnesses. A third issue that needs attention concerns the selection of teachers for the various players in the field who need to be educated. 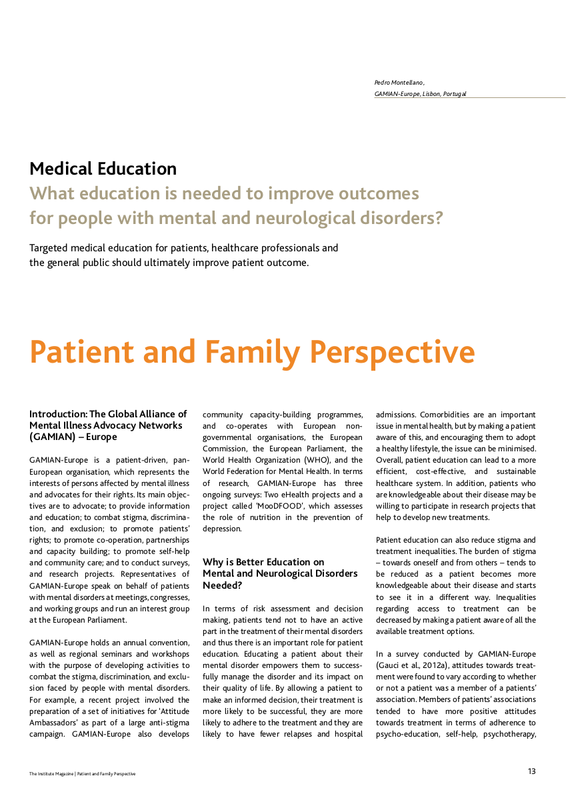 There is fairly good evidence, for example, that general practitioners and family doctors prefer to be educated by members of their specialty rather than by psychiatrists or neurologists. The psychiatrist or neurologist is welcome as a resource person in the in-service training about the management of mental illness, but the experienced and knowledgeable family doctor is usually preferred as the teacher and the source of advice about the management of mental illness in conditions of general practice. 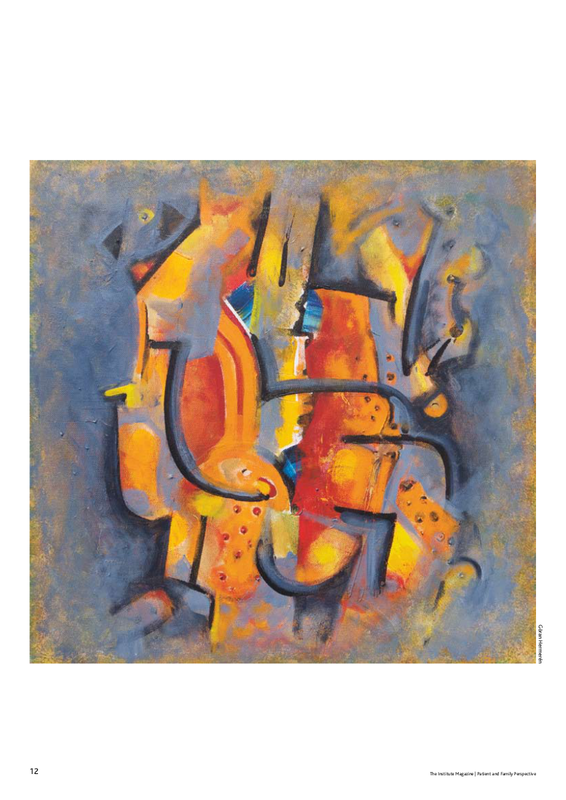 Members of the family of mentally ill people often have a lot of knowledge and experience about ways of managing mental illness at home: It is a pity that they are so seldom used as teachers of medical students when the management of mental and neurological illness is taught. 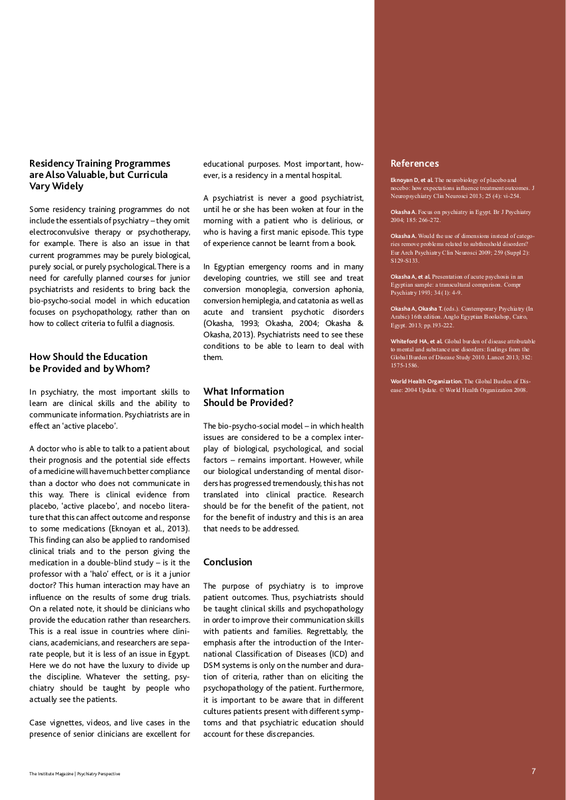 In-service education of the practicing psychiatrist is often a matter of neglect and is frequently limited to the provision of data by representatives of pharmaceutical companies who visit them in their offices. 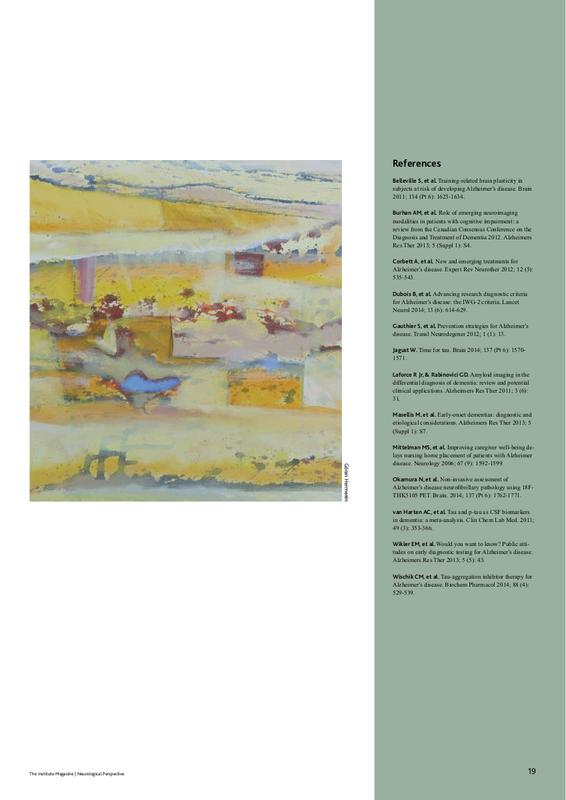 Patients themselves are only rarely invited to teach about living with mental illness although they could provide valuable education to all members of the medical profession. 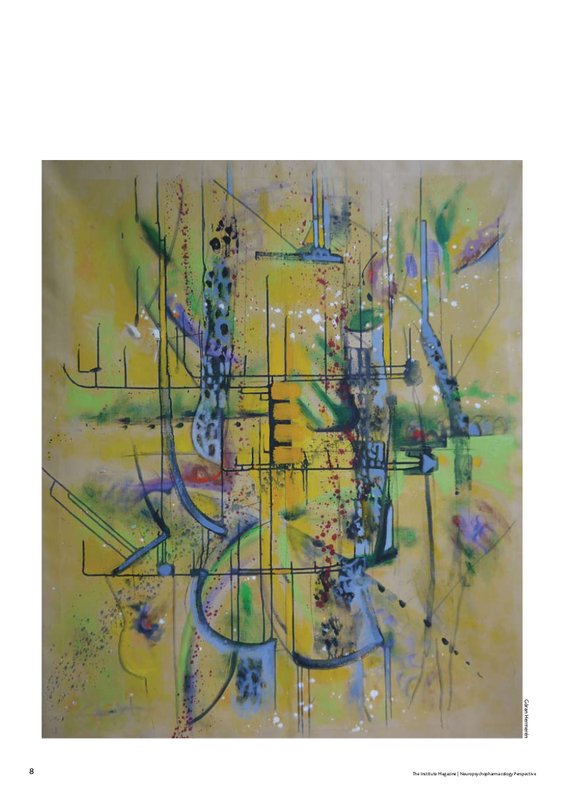 The revolutionary advances of our knowledge about mental and neurological illnesses and about their treatment provide a solid basis for an improvement of care to people who suffer from them. 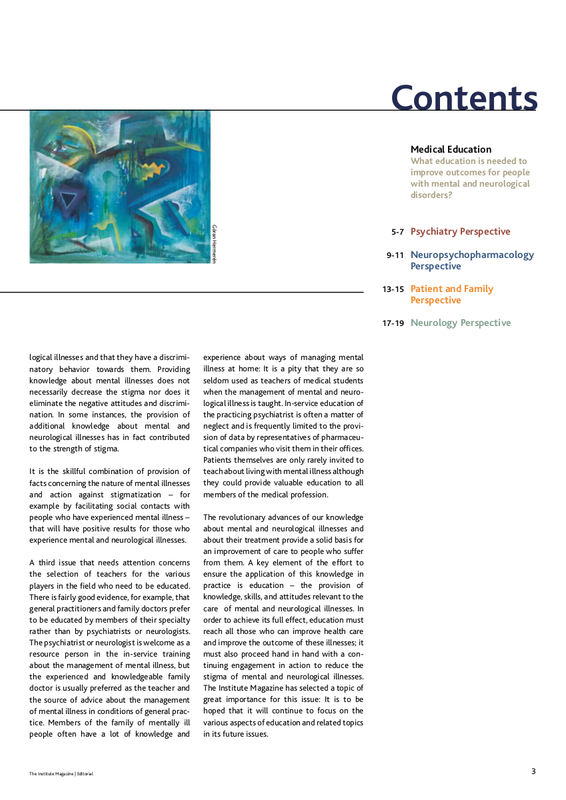 A key element of the effort to ensure the application of this knowledge in practice is education – the provision of knowledge, skills, and attitudes relevant to the care of mental and neurological illnesses. In order to achieve its full effect, education must reach all those who can improve health care and improve the outcome of these illnesses; it must also proceed hand in hand with a continuing engagement in action to reduce the stigma of mental and neurological illnesses. 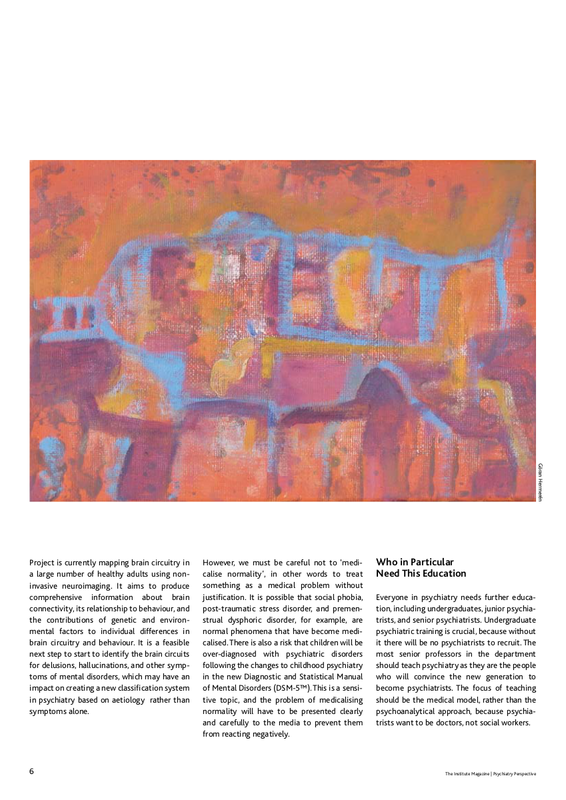 The Institute Magazine has selected a topic of great importance for this issue: It is to be hoped that it will continue to focus on the various aspects of education and related topics in its future issues.